To be launched in India first. The BMW G310R is being presented at the Auto Expo 2016 in Greater Noida from today, ahead of its launch in the country later this year. 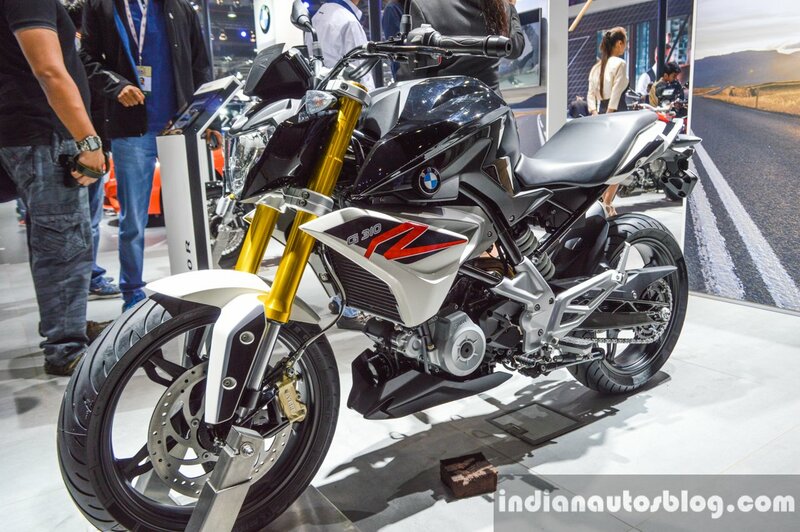 It is the first sub-500 cc motorcycle to be developed by BMW Motorrad, and it is the first product of BMW's to be manufactured (exclusively) by TVS Motor Company for local and export markets. The G310R is based on a new tubular steel frame that is suspended by an inverted fork and a monoshock on a long, aluminium swingarm. The chassis houses an all-new 313 cc backward-tilted single-cylinder liquid-cooled engine with DOHC, that produces 34 hp (25 kW) at 9,500 rpm and 28 Nm at 7,500 rpm. 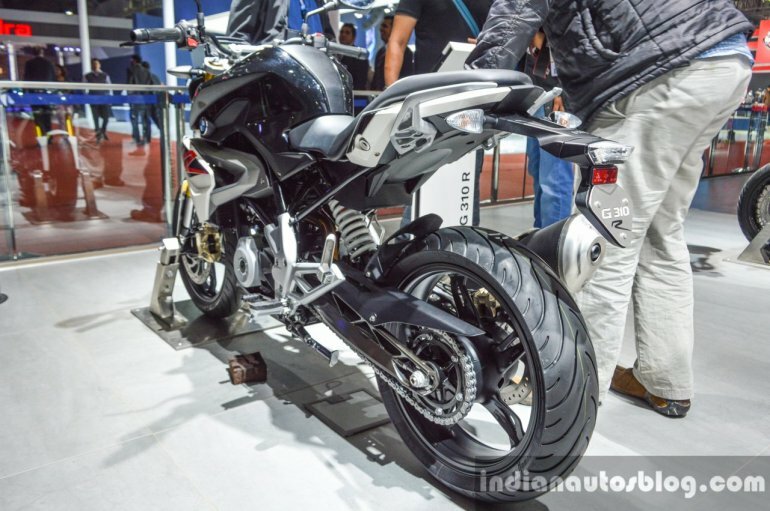 The 158.5 kg motorcycle is stopped by 300 mm front disc brake with radially bolted 4-piston caliper, and its 240 mm rear disc brake that has a 2-piston floating caliper. The bike, shod with Metzeler tyres of sizes 110/70-R17 and 150/60-R17, gets ABS as a standard feature.